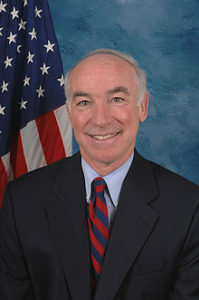 DEEP RIVER — Rep. Joe Courtney will hold a town hall meeting for constituents of the Second Congressional District at 6 p.m. this evening at Valley Regional High School, 256 Kelsey Hill Rd., Deep River. All are welcome. Doors open at 5:30 p.m. There will be a wide ranging discussion on issues such as the successful effort to stop the ‘Kenyon Bypass’ passenger rail tracks, higher education affordability, the future of Social Security and Medicare, and the thriving manufacturing economy in eastern Connecticut.